LEXINGTON, Ky. (Nov. 14, 2014) — Soprano and Sing for Hope founder Camille Zamora will present a master class for the University of Kentucky School of Music voice students from 5:30 to 6:30 p.m. Saturday, Nov. 15, in the Pavilion A Auditorium at UK Albert B. Chandler Hospital. 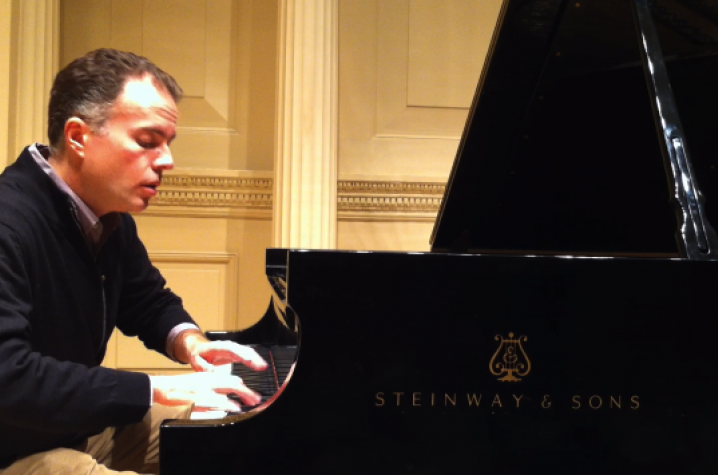 Pianist Djordje Nesic will serve as accompanist for the master class, which is free and open to the public. An internationally acclaimed soprano, Camille Zamora has appeared with ensembles including LA Opera and Glimmerglass Opera and with collaborators ranging from Plácido Domingo to Sting. A graduate of Juilliard School, she has performed recitals on five continents and live concerts on NPR, BBC Radio, Deutsche Radio and Sirius. She has been recognized by the Congressional Hispanic Caucus and named one of CNN’s "Most Intriguing People," NY1’s “New Yorker of the Week” and one of the “Top 50 Americans in Philanthropy” by Town & Country magazine. A regular contributor to The Huffington Post and a leading voice in the “citizen artist” discussion, Zamora has performed and spoken at the Fortune Most Powerful Women’s Summit, Aspen Ideas Festival and the United Nations. 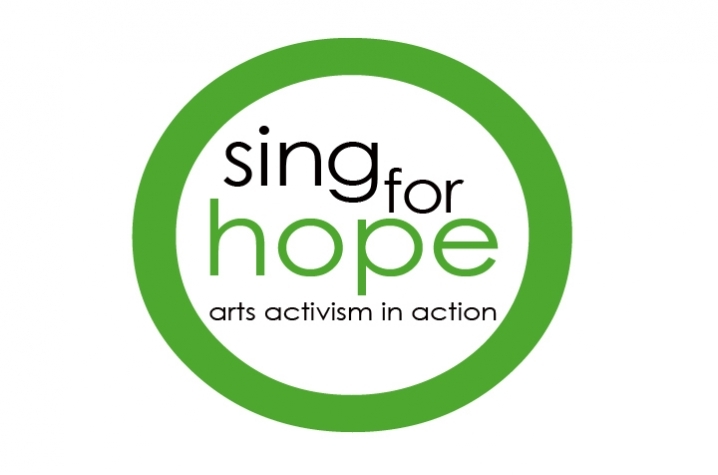 Zamora is the co-founding director of Sing for Hope, a leading nonprofit that brings art outreach programs to communities in need and presents initiatives that make the arts accessible to all. By leveraging volunteer service of hundreds of dedicated artists, Sing for Hope provides programs ranging from collaborative hospital concerts for patients, to after-school arts classes to The Sing for Hope Pianos, 88 artist-designed instruments placed throughout the parks and public spaces of New York City for anyone and everyone to enjoy. Djordje Nesic’s career as a pianist has been highlighted by recital, concerto, chamber and collaborative performances. During the current season, he performs in both concert and recital at Carnegie Hall in New York City, Ohana Arts Festival in Honolulu, Cincinnati’s Taft Museum and Underground Railroad Museum Freedom Center, as well as at the University of Wisconsin and the Next Act Theater in Milwaukee. He is also featured in the PBS broadcast of “This Little Light of Mine” with soprano Adrienne Danrich. Among the pianist’s recent Manhattan performances are those at Lincoln Center in its “Meet the Artist” series; Carnegie's Weill Hall with Samantha Jeffreys and Monica Yunus; Carnegie’s Zankel Hall with Mari Moriya and Asako Tamura; the United Nations General Assembly Hall; the River to River Festival; Tribeca’s Ico Gallery; and the Trinity Church Wall Street. A favorite of festival audiences, Nesic has performed at the Tanglewood, Cleveland Art Song, Lake Luzerne (NY) Chamber and Aspen Music Festivals. The list of conductors with whom he has worked features Julius Rudel, James Conlon, Stewart Robertson, David Angus, Reinhardt DeLeeuw, Gerald Steichen and Robert Spano. Nesic, a roster member of the Swiss Global Artistic Foundation, currently lives in New York City where he holds the position of artist-in-residence at the Broadway Presbyterian Church. The master class by Zamora is being made possible by the Gill Heart Institute. Zamora and Nesic are in town to perform a recital in honor of the Gill Heart Institute’s 10th anniversary and the opening of the new Cardiovascular Services Floor in the Chandler Pavilion A.